This drop-in part is easy to install and does not change the internal components of the gun. Note: The "Cornerstone" installation utilizes a factory spacer included in your original box (this part is referenced in the Ruger® manual). This product fits the Mark IV™ 22/45™, Mark IV™ 22/45™ Tactical and Mark IV™ 22/45™ LITE. 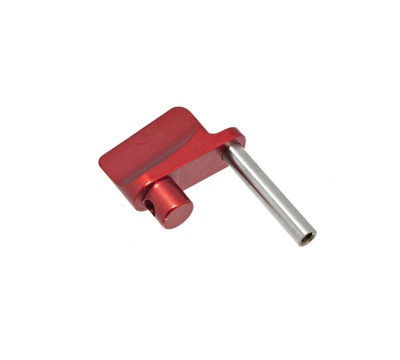 Available in red anodized aluminum. Made by Tandemkross.